an unhappy hog dumped into the pits. It's a classic game which has spawned tons of different house rules and variants, due to its simple and clever rules. 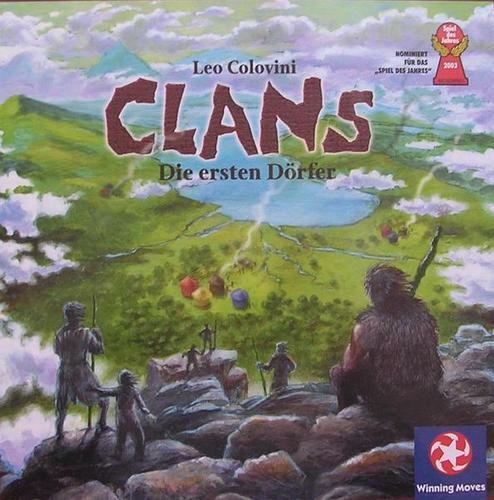 Fast forward a decade or so and French game designer, Leo Colovini, releases Clans, an unusual but really interesting game of hidden identities. 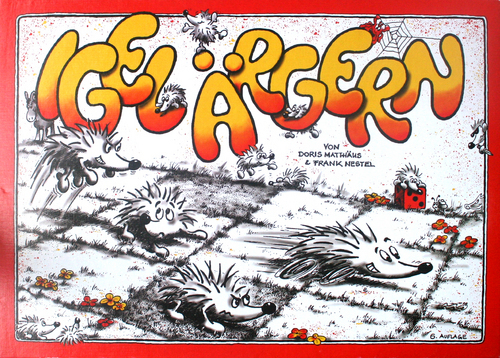 Players choose a colour of huts and like Igel Argern are able to move any colour around the board trying get their pieces into the highest scoring groups. There are nasty moves aplenty in this game as well but one must keep their mouth shut until the end when they finally reveal their colour and count their score. I also consider this game a classic and very hard to play well. So why mention these two games? 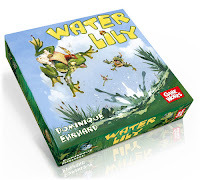 Well, the wonderful French game Water Lily by Dominique Ehrhard manages to take the best elements of both of these games and boil it down to a fascinating 10-15 minute battle. The rules are extraordinarily simple considering how much thought one can put into the play of the game. To top it off the game is released by GameWorks, who also produced the fantastic 2-player card game Jaipur, and the production and art design is the best of any game available today. There is no reason why I can think that you should not go out and buy Water Lily. Today. You're still reading this so you haven't left yet to pick Water Lily up at your FLGS.... So I guess I'll continue trying to convince you. The play of the game, as I said, is very, very easy to pick up. 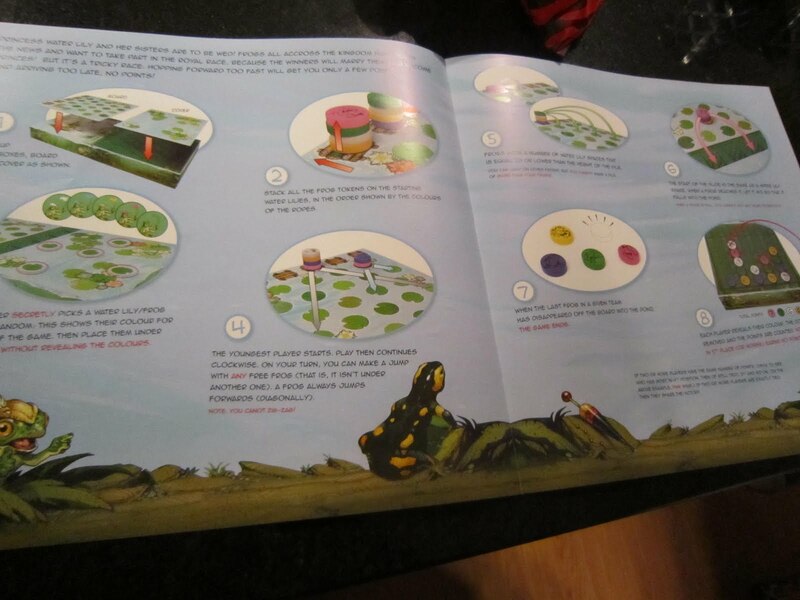 The 2-page rulebook is a masterpiece of good graphic design, providing a step-by-step explanation of play with illustrations that correspond to each step (Rio Grande Games, please take note...) At the start of the game, the board begins with all the frogs of the different colours in stacks of four at one end of the board. Every player secretly draws their colour of frog and the race is on! Every turn a player may move any frog at the top of a pile a number of spaces in a straight line equal to or less than the number of frogs in that pile. 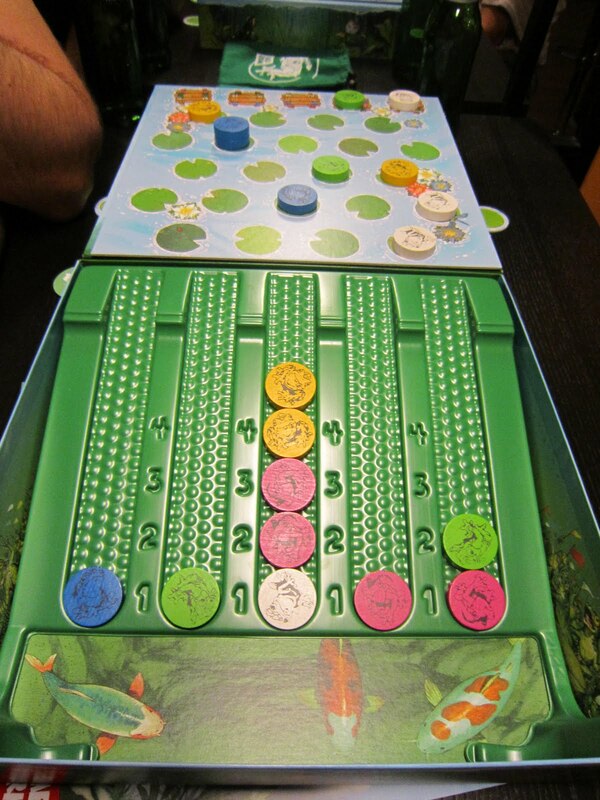 There are five holes at the end of the board and when a frog enters one it is out of the game and locked in for scoring. 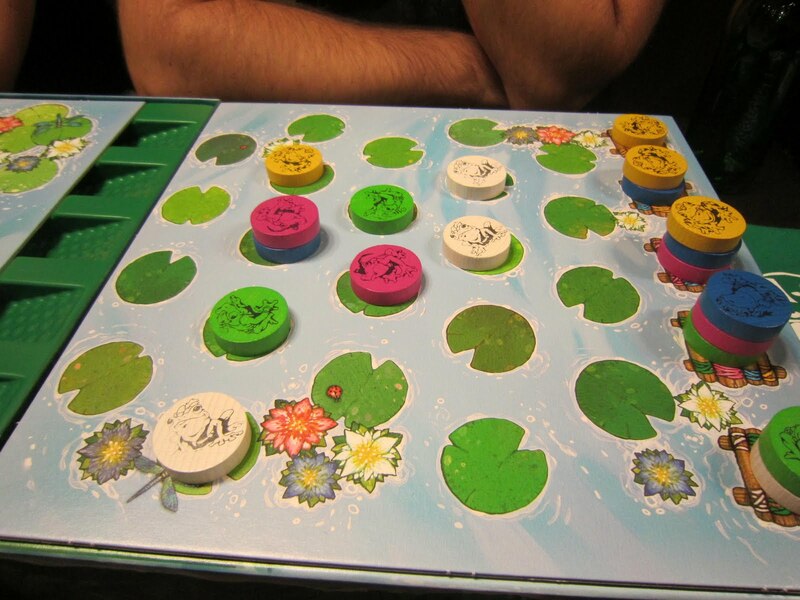 Once all the frog-nubbins of one colour leave the board, the game is over, scores are tallied, and players reveal their colour of hopper. Where the game is extremely clever is in the way scoring occurs. Each hole the frogs fall down is a chute with increasing scores beside it. So the first frog gets 1 point, the second frog 2, up to the fourth frog to enter a chute getting 4 points. Any frogs that enter after that get nothing. 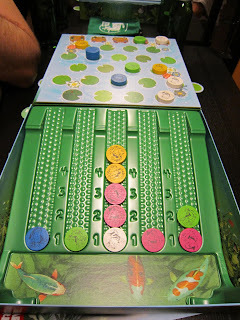 To make it even trickier, the chutes are covered until the end of the game so once a frog goes down a hole you have to try and remember how many had gone before and situate your pieces accordingly. What this means is you can't just rush your coloured frogs to the end as someone else will then dump them down the holes first making each one worth a measly 1 point each. But wait too long, and your frog might be the fifth one in and score a big fat nothing. Or worse yet, the game will end before you can even get all your frogs to the end. Having played rounds with 2, 4, and 5 players, I can easily say that Water Lily works really well with any number. It's a fun, quick, extremely simple but surprisingly tricky game that I really enjoy. From any other company, I'd definitely say, sure, it's worth it for a few bucks. 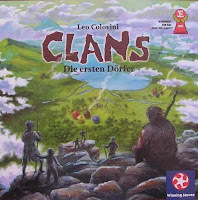 But combine this great gameplay with GameWorks' beautifully designed and very clever production, and you've got a wonderful game worth treasuring. It will work for kids, families, and all my gamer friends who are often looking for a think-y diversion before they get into something heavier. You're still reading so you obviously haven't gone out and picked this up yet. You should probably go now and get it. You've done it again! I'm now going to buy another game that I would not have known about if it wasn't for you. So far, you haven't steered me wrong . . . This one's a beauty. It's totally just a filler game but we love it. Simple and tense.